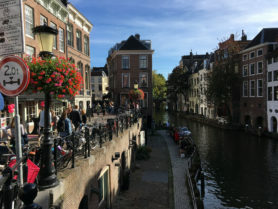 During October 2018, I traveled to the Netherlands for a secondment with the Institute for Marine and Atmospheric Research Utrecht (IMAU) group at Utrecht University. 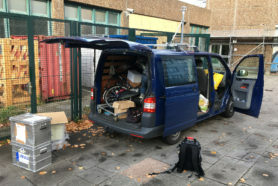 My PhD research revolves around urban methane (CH4) emissions, which consists of a plethora of mobile survey measurements and never ending hours of laboratory measurements. 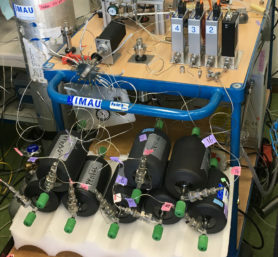 Therefore, the first part of my stay was learning the IRMS system that measures both and stable isotopes (δ13C and δ2H) of CH4. 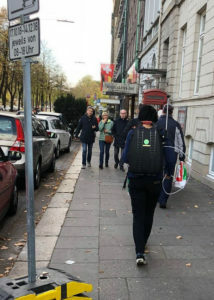 The other part consisted of sample collecting while assisting Hossein with the survey in Hamburg, Germany. 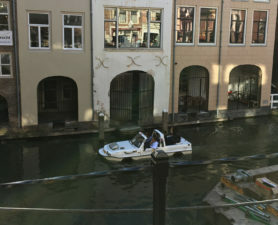 When I arrived the first thing I noticed was that the Dutch way of life is very different from what I grew up with in the US and what I’ve encountered in the UK, in a good way. Since the main form of transportation is by bicycle, I got a really sweaty morning workout on my way to the lab every day. On the first day Malika showed me all around the department and the laboratory. It had recently been organized and cleaned for the viewing of an administrative superior so the lab looked like a dream come true! It was also cool to learn that coffee is free 24/7 for postgraduates! 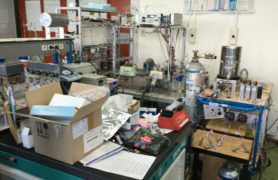 The first week I shadowed Malika and studied the continuous flow isotope mass spectrometer (CF-IRMS). 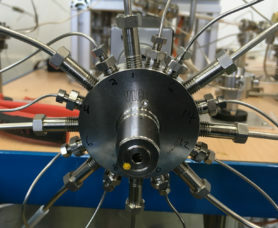 UU’s system is unique in that it can measure both δ13C and δ2H without the use of liquid nitrogen. 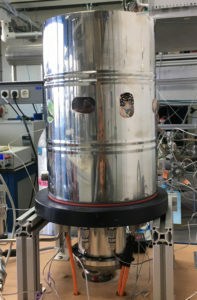 Instead, preconcentration and focusing occurs within this steel dewar which contains a compressor, a copper block that cools to near -145°C, and a few other components for trapping (see Röckmann et al., 2016 for details). 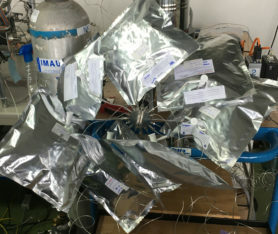 The system has a dynamic and adaptive inlet system, which allows for measuring samples from various types of containers. 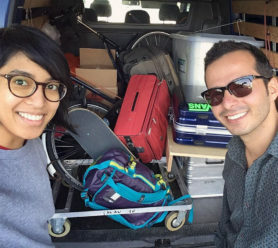 I was very envious of how Carina, the laboratory engineer, was very engaging in teaching Malika and the others in the lab not only about working properly in the lab, but also with the maintenance and system specifics of measuring samples. Since I like tinkering and using tools, my favorite part of the whole secondment was when the instrument wasn’t working as it should and the reference peaks were abnormal. I assisted with some basic maintenance and troubleshooting the system. Malika walked me through replacing the combustion furnace catalyst. If it’s blue, it needs to be replaced. 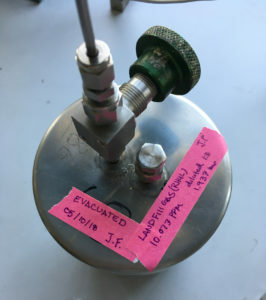 We replaced the drying tube that removes H2O and CO2 and the peaks were still off. So then Carina suggested reconditioning the GC to remove any residual water. Eventually the system started working after a day or two of troubleshooting. 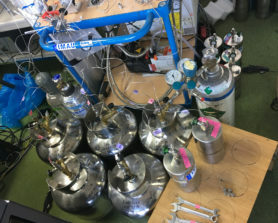 For the intercomparison and round robin measurements of isotopes, RHUL sent over tanks of high and low concentrations of laboratory gas and landfill gas for the UU lab to measure. 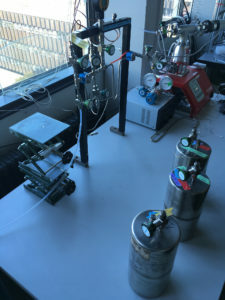 Before the tanks were to be measured, I was shown how to make a dilution of the high concentration tanks (22 L ~10 ppm CH4) to a 1:5 dilution of ~2 bars into a smaller tank. 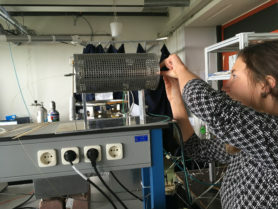 Before we left to attend the Plume Workshop in Heidelberg, we set up all the RHUL samples to be measured for δ13C-CH4. When I came back from the workshop I was guided through switching the system from measuring δ13C to measuring δ2H. 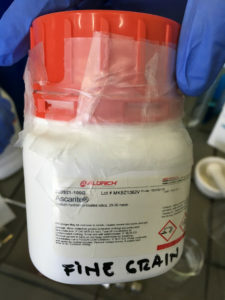 This consisted of changing the catalyst and not using the 2nd GC that removes krypton, which is only needed for carbon analysis. 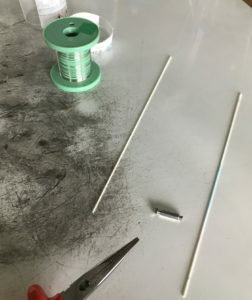 Since O2 combustion is also not needed the O2 line is removed and the line is reconnected to close the system. 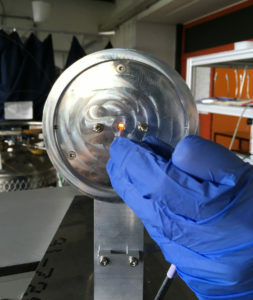 When everything is in place a CO2-Argon leak test is done to make sure fittings and parts are tight on the catalyst. The H3 factor is then calculated by gradually increasing the flow of H2 and measuring the focus ratio. While doing lab work I was also preparing for the Hamburg survey. 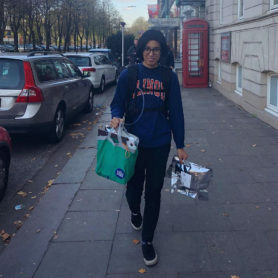 My main goal from the survey is to compare different city measurements and sources with the measurements I have been taking in the urban areas of the UK. One of the hardest parts of preparation was looking for potential sources around the city without any leads from national inventory emissions. 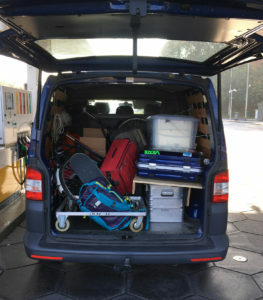 Once we got all packed we had a 5-hour drive from Utrecht to Hamburg. Although we had some minor logistical issues upon our arrival, we quickly got set up and began measuring the next day. 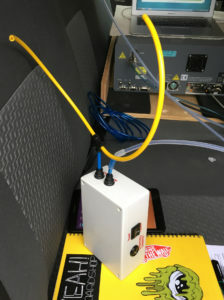 The UU survey vehicle is equipped with a Picarro G2301, which measures concentrations of CH4, CO2 and water vapor from an external inlet attached to the front bumper of the van. The Picarro CH4/C2H6 backpack analyzer continually measures from an inlet attached to the roof of the car. There is also 0.9 m mast with a GPS unit and a 2D sonic anemometer to record location and wind. I had brought with me some SKC Flexfoil sample bags, a bag pump, and some tubing. 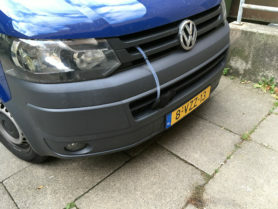 Since the lines in the van are already in place, it was easy to connect my pump to the inlets. After 2 days of surveying, we noticed very high elevations of methane every time we drove over the Kennedy Bridge. 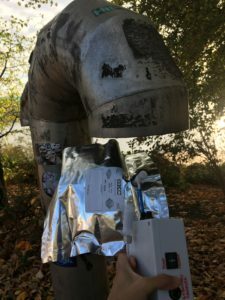 At the end of our 3rd day we wanted to investigate closer so I decided to put the Picarro backpack analyzer to the test. 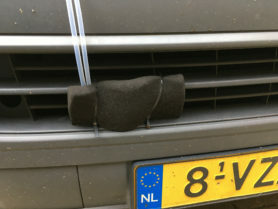 We parked walking distance to the bridge and I put the Picarro on. 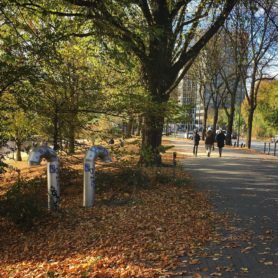 When I walked down the street, getting funny looks from strangers, the increasing elevations lead me to two pipes just before the water. Just as I grabbed my bag and pump to collect a sample the Picarro battery died on me! But! I was still able to collect a few samples from the pipes and surrounding area blindly. From the whole experience I gained a lot of useful knowledge and lots of sample analysis to keep me busy with my research.